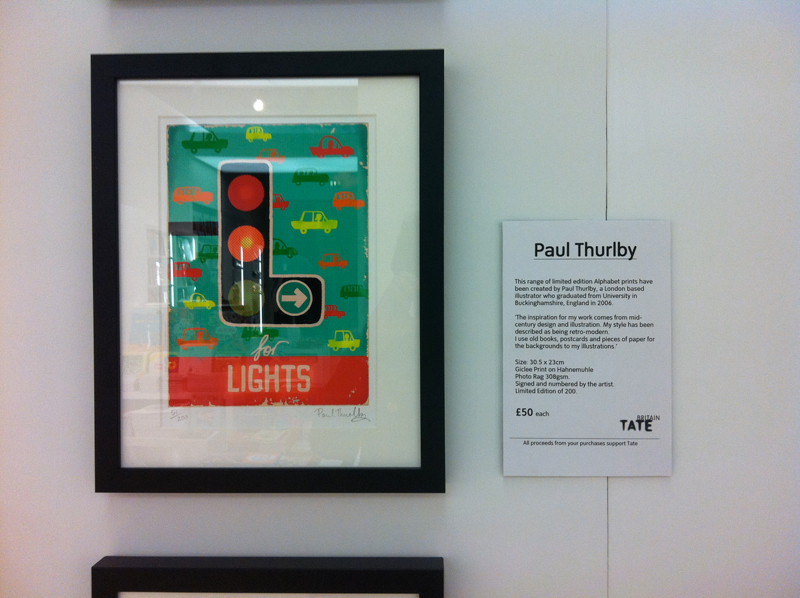 A number of prints from Paul Thurlby’s upcoming Alphabet book are for sale in Tate Britian’s shop. If you happen to be in the UK on holiday, swing by and have a look. Paul’s book is being published in the UK by Templar. In the US it is being published by Candlewick. In Australia, Hardie Grant in publishing the book.